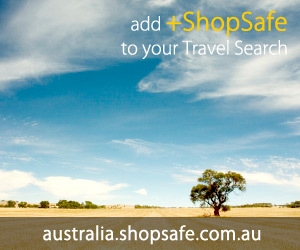 There are 6 products in the Avelle Bags > Sunglasses ShopSafe Category. Gucci Retangle Sunglasses Description: This iconic Italian house continues to reinterpret its rich heritage with decidedly modern, yet classic looks. Their icons are numerous, from the horse bit to the bamboo handle. Gucci has been recognized worldwide as a leader in the Luxury goods market for 90 years. Temple: 5"L x 1 - 2"W; Lens: 1 1 - 4"H x 2 1 - 4"W; Hinge to hinge: 5 1 - 4". etc. Buy this Gucci Retangle Sunglasses today from USD$150.00 on the Avelle Bags website. Dior `sparkling 2` Strass Sunglasses Description: Launched in 1946, Christian Dior ushered in the `New Look`, raising hemlines and creating a silhouette so feminine it took the fashion world by storm. This trend setting label continues to set the standard for Haute Couture around the world, with scions of the industry at the helm such as Yves Saint Laurent, Gianfranco Ferre, and John Galliano. etc. Buy this Dior `sparkling 2` Strass Sunglasses today from USD$175.00 on the Avelle Bags website. Oliver Peoples Harlot Sunglasses Description: Never a Trend, Always in Style. Founded by brothers Larry and Dennis Leight, Oliver Peoples has emerged on the fashion scene as a young leader in international eyewear. Known for a collection of unique vintage frames, the company designs their own collection and regularly teams up with designers for special edition frames. etc. Buy this Oliver Peoples Harlot Sunglasses today from USD$235.00 on the Avelle Bags website. Dior `diorlywood` Shield Sunglasses Description: Launched in 1946, Christian Dior ushered in the `New Look`, raising hemlines and creating a silhouette so feminine it took the fashion world by storm. This trend setting label continues to set the standard for Haute Couture around the world, with scions of the industry at the helm such as Yves Saint Laurent, Gianfranco Ferre, and John Galliano. etc. Buy this Dior `diorlywood` Shield Sunglasses today from USD$255.00 on the Avelle Bags website. Louis Vuitton Desmayo Cat Eye Sunglasses Description: Now in its third century, Louis Vuitton remains one of the world`s most coveted symbols of status and sophistication. The Damier pattern was designed in 1888 and the Monogram, in 1896. Over a hundred years later, these remain two of the most recognizable prints in the world. Temple: 5"L; Lens: 2"H x 2 1 - 4"W; Hinge to hinge: 5 1 - 2". etc. Buy this Louis Vuitton Desmayo Cat Eye Sunglasses today from USD$385.00 on the Avelle Bags website. Louis Vuitton Ursula Strass Sunglasses Description: Now in its third century, Louis Vuitton remains one of the world`s most coveted symbols of status and sophistication. The Damier pattern was designed in 1888 and the Monogram, in 1896. Over a hundred years later, these remain two of the most recognizable prints in the world. Temple: 4 3 - 4"L x 3 - 4"W; Lens: 1 3 - 4"H x 2 1 - 2"L; Hinge to hinge: 5". etc. Buy this Louis Vuitton Ursula Strass Sunglasses today from USD$425.00 on the Avelle Bags website.